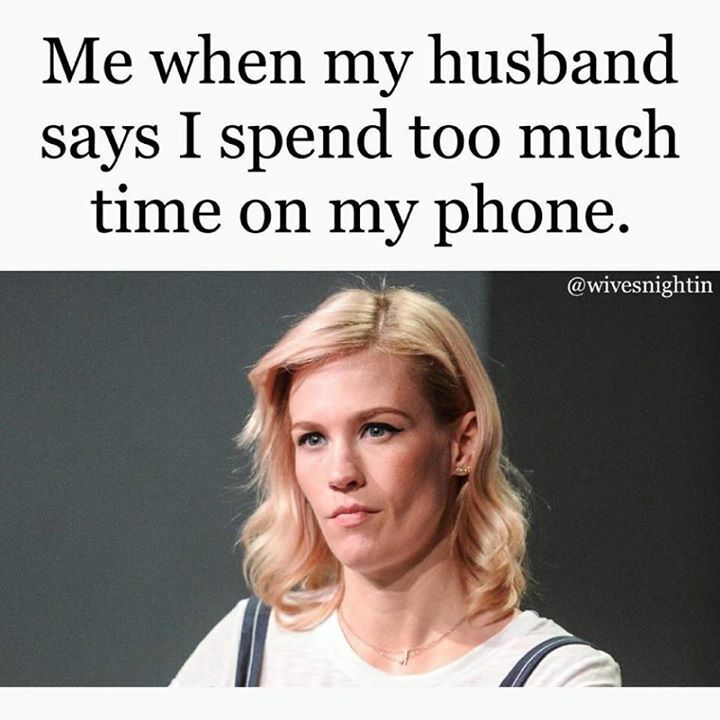 ME WHEN MY HUSBAND SAYS I SPEND TOO MUCH TIME ON MY PHONE. - ProudMummy.com the Web's Community for Mums. Home » Memes » Men & Love » ME WHEN MY HUSBAND SAYS I SPEND TOO MUCH TIME ON MY PHONE. Wayne Rotchell pot kettle. ..